Learn how to make your own keychain with leather. 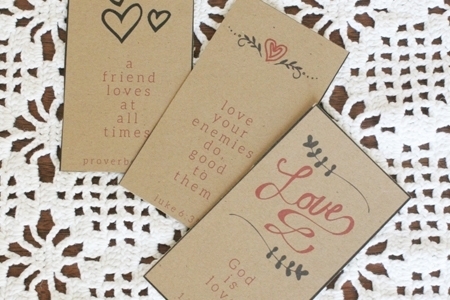 This simple leather craft project makes a great gift for him (and is perfect for Valentine’s Day)! 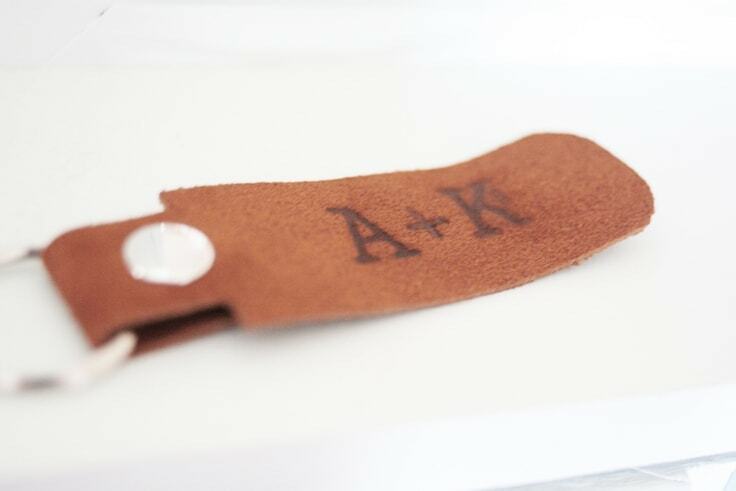 A classic leather keychain is a great “gift for him” any time of year, but especially for Valentine’s Day. 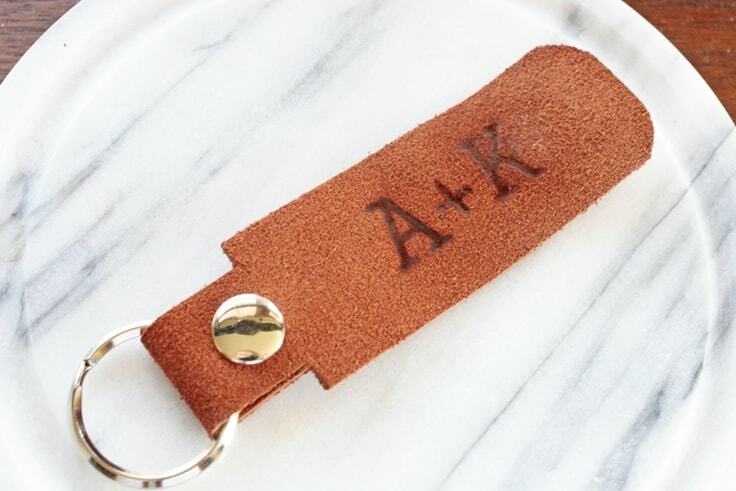 Both handmade and monogrammed, this personalized leather keychain is a stylish (and practical!) 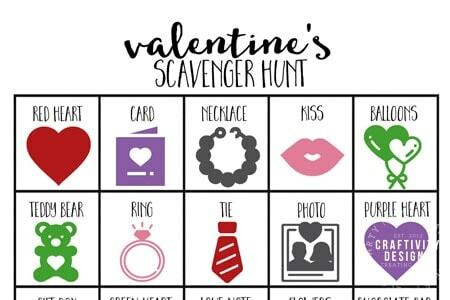 gift from the heart. 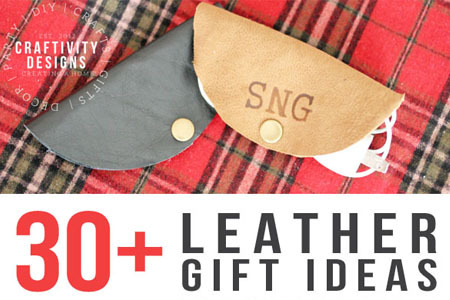 I’ll admit, I’m a long-time fan of handcrafted leather gifts (here’s my list of over 30 ideas!) as well as leather projects for the home (such as leather drawer pulls and napkin rings made from leather). It’s not expensive or difficult to start making leather crafts. 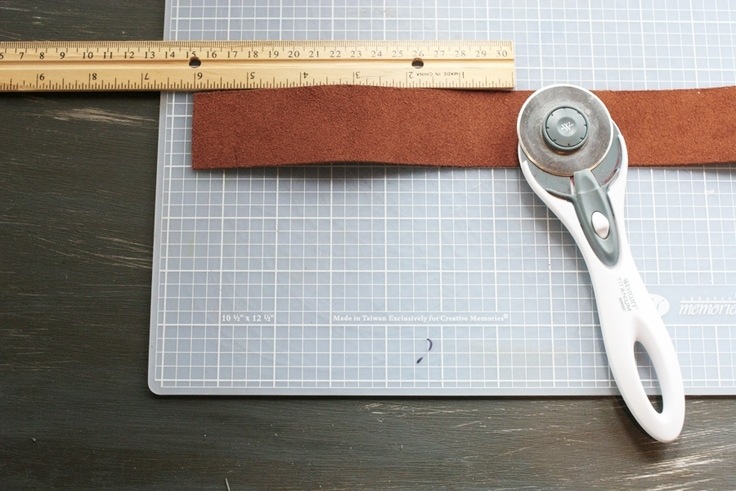 You only need a few tools to get started and leather can be found at second-hand stores. I’ve recycled old leather coats, pants, and belts into scrap leather. Lay a sheet of scrap leather across the self-healing mat. 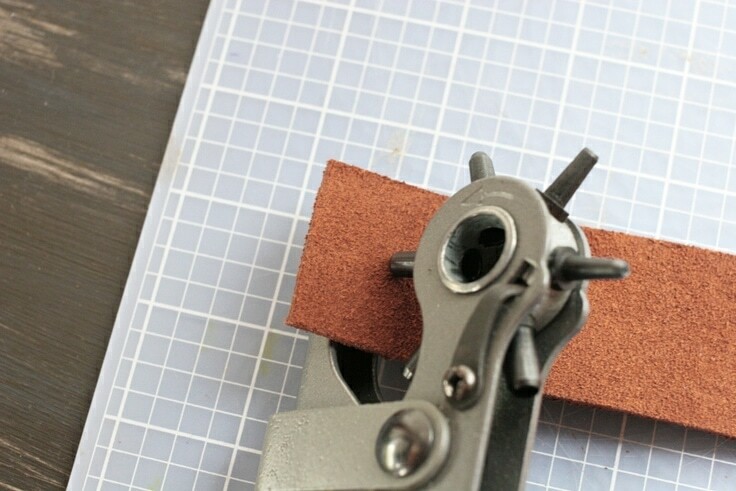 Use the rotary cutter to cut strips of leather, approximately 1.5″ wide and 8-9″ long. Next, cut the portion of the leather which will loop around the keychain ring to approximately 3/4″ wide x 2.5″ long. For this step, fabric scissors will be easier to use than the rotary cutter since the cuts are small. If you’d like, round the far corner of the leather (as shown above) with scissors. Follow the heating instructions included with the woodburning tool. As for burn time, it’s best to test on a scrap piece of leather. 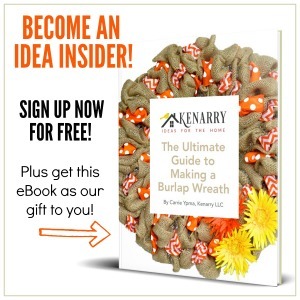 Different materials will burn faster or slower depending on the fabric and finish. Note: When choosing leather, a rough suede or matte leather will burn easier than a gloss-finish leather. Once the leather is personalized, punch the fastener hole. Loop the thinner portion of the leather around the ring, and mark the fastener hole on both sides. 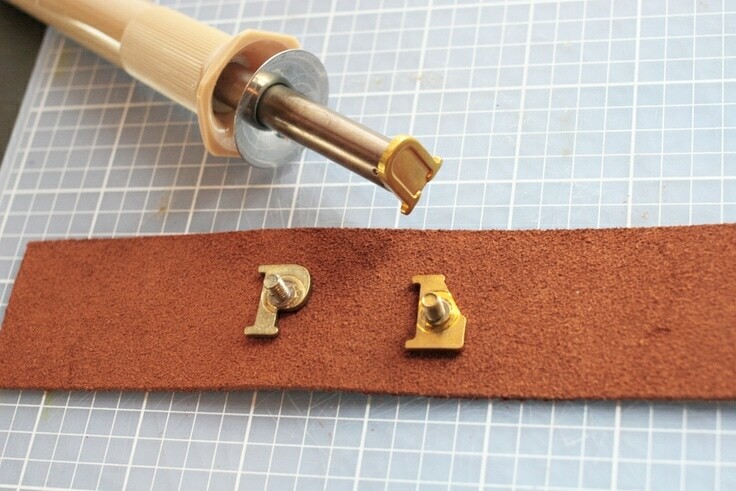 Use the leather hole punch to create a hole in both spots. Note: Refer to the fastener size in order to determine which leather hole punch size to choose. Finally, attach the keychain ring with the fastener style of your choice. In order to fasten the snap, follow the directions and use the tools included in the fastener kit. 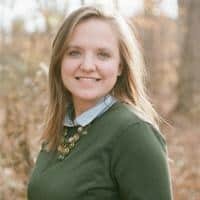 Simple, stylish, and classic, right?! 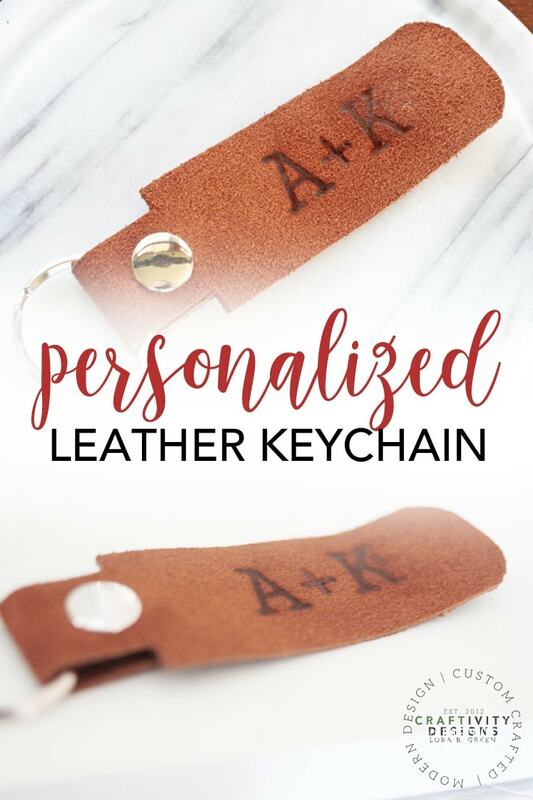 If you are stumped on what to get your guy for Valentine’s Day, make your own keychain with personalized leather instead of purchasing a gift.